The iStick bending adaptor is designed to save space and make the device easier to carry. With the iStick bending adaptor, unnecessary wear and tear will be substantially reduced which is better for protecting the thread. How to use: First, screw the bottom of bending adaptor to iStick with the attached small tool. Then screw atomizer onto the adaptor. 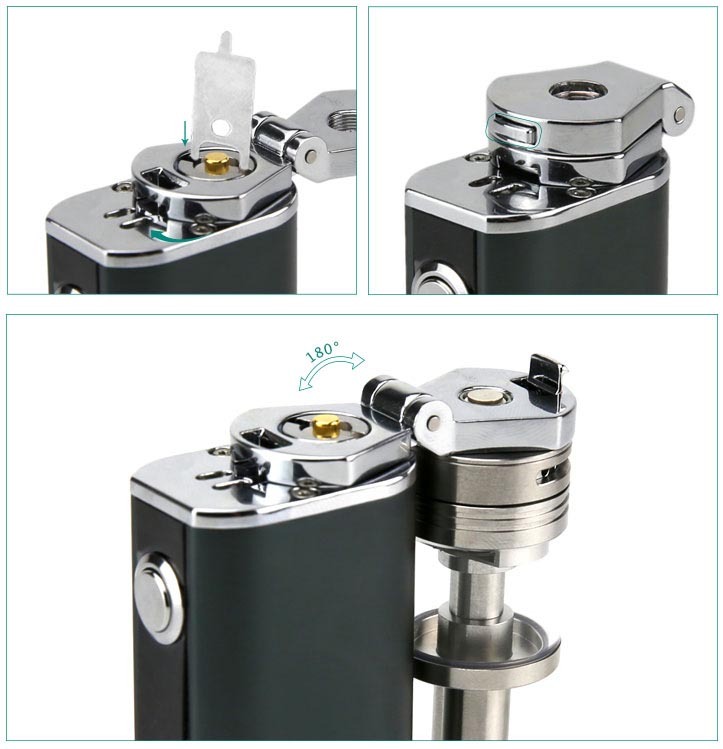 Through pressing the button of adaptor, one can easily flip the atomizer 180 degrees.